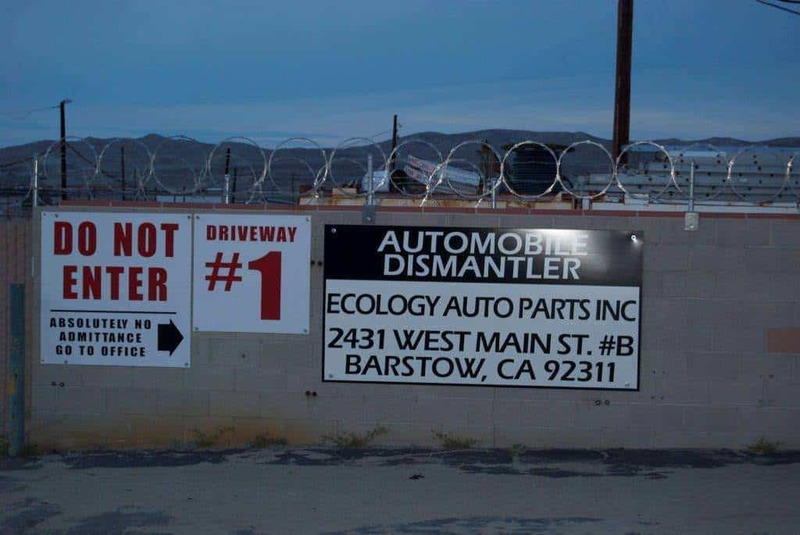 Ecology’s Truck parts location is conveniently located in Barstow less than 2 miles from Interstate I-15 on West Main St., close to the L St. intersection. Trucking is a big business in the high desert as the I-15 is the major interstate connecting the east coast with the west coast. We have Semi Truck parts for all Semi Trucks. We also buy Semi Trucks running or not. We will quote you a price, pay you cash, tow it for free*, and we will handle the transfer paperwork. For a quote call 760-256-1101. *Free towing of Semi Trucks has restrictions based on distance and condition of the Semi Truck. Call for details. Welcome to our Barstow location! Closed Saturday and Sunday and most major holidays.